FORMER Zambia soccer team striker Kenneth “Bubble” Malitoli says the formation of the Footballers and Allied Workers Union of Zambia (FAWUZ) will put an end to players turning destitute after retirement. Speaking at the launch of FAWUZ yesterday in Lusaka, Malitoli said he has experienced the harsh realities of life after retirement simply because there was no union to offer guidance during his career. Malitoli is one of the many soccer players who brought glory and honour to Zambia and first division teams in the country over the past 50 years but are now languishing on the edge of destitution in old age after retiring without pension or savings. He said yesterday: “For a long time now, players have been taken advantage of by clubs by signing contracts without understanding them. It is true that some of us are victims of signing contracts without reading them properly. This is because players are usually deemed illiterate. When the contract turns sour, players have nowhere to run to but bear the pain. “I am speaking from experience and truly experience is the best teacher. I wish we had this kind of a union back then to advise us. The formation of this union has been long overdue but I am glad that now it is in place,” he said. Malitoli appealed to the current crop of footballers to support the union because they needed it more than the former players. “I urge the current players to come on board and support the union. If they have to contribute a small amount let them do so because it is for their own benefit. We don’t want you to go through our harsh experience after retirement,” he said. 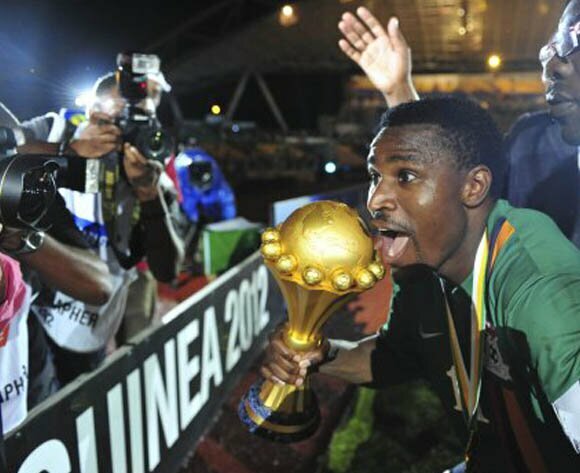 And 2012 Africa Cup of Nations winning captain Christopher Katongo said he was happy that current players were part of the union formed by ex-footballers. “I call on the players and other stakeholders to support this union. It is representing the welfare of the footballers and requires every one’s support. I went through a lot with agents, managers and many others when signing contracts. ‘‘As for the current players, let us contribute something to this union, remember we too will retire,” Katongo said. Meanwhile, FAWUZ secretary general Linos Chalwe said over 150 players have enlisted since the union was registered on February 10. “We have players from Nkana, Power Dynamos and other clubs that have registered with us. They will pay two percent of their annual income as subscription to the union,” he said. Chalwe said the union will look at various issues that affect players such as contracts, insurance, salaries and financial management. “For a long time now, insurance on injuries has been over-looked. Our goal is to ensure that players who get injured are insured so that they don’t suffer. The issue of contract dispute is also worrisome; some players’ careers have been put at risk simply because the contract was not well understood. “We are engaging with stakeholders to open a pension scheme for footballers so that they have the financial muscle after retirement. Football is a short career and without a pension,” he said. Chalwe said the will also address the trafficking of under-aged footballers and fight any form of discrimination.